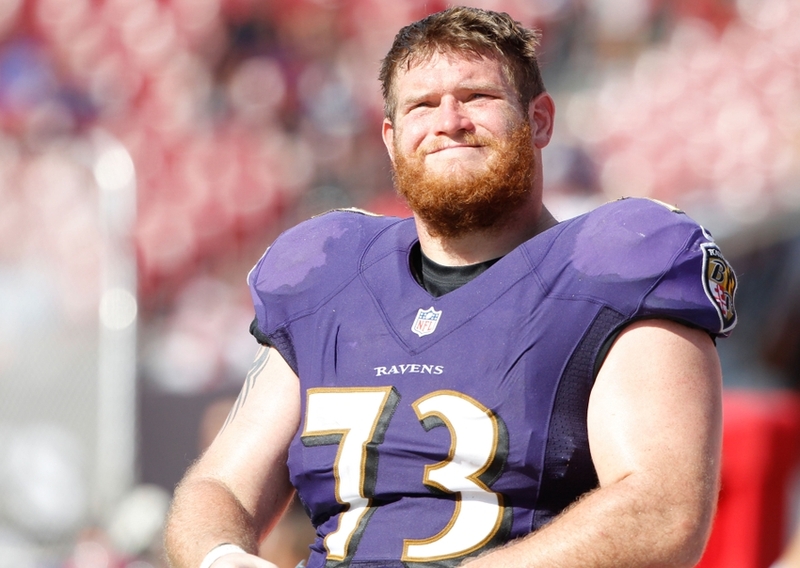 In an action to quiet the speculation surrounding Marshal Yanda’s future with the Baltimore Ravens, the two parties came together to ensure that he will be a Raven throughout the 2020 season. The news broke when ESPN’s Adam Schefter posted on Twitter that league sources told him of the Yanda extension. Aside from the duration of the contract, nothing is known about the deal’s structure. This includes the all-important financial side of the contract. The 34-year-old right guard is set to make $10.125 million in 2019. It is probable that Yanda’s extension does not include the same amount of money in 2020. Many veterans as forced to take less and less as their career progresses to an end. By the time Yanda’s new deal expires, he will be 36. Marshal Yanda returns to a Ravens offensive line that is in desperate need of assistance on the interior. The guard position parallel to Yanda on the left side is still up for grabs. The Ravens will likely try to address this in the draft, as Alex Lewis and James Hurst were less than stellar at the position last year. Yanda could find himself as a mentor to a new guard by the end of the offseason. Drafted in the third round of the 2007 NFL Draft, Yanda has spent all his professional playing days with the Baltimore Ravens. Throughout those 12 years, he proved to be one of the toughest guards in the league. Yanda was selected to seven Pro Bowls between 2011 and 2018. The only year he missed the all-star game was 2017. Yanda was also named a first-team All-Pro twice, and a second-team All-Pro four times. His long legacy with the Ravens culminated in February of 2013 when he won Super Bowl XLVII with the team. Yanda is considered to be one of the team’s best players of all time, and could be in the Pro Football Hall of Fame one day.